Places Where Kids Eat Free In Adelaide | Monday To Sunday! This article gives you a detailed list of locations where kids eat free in Adelaide!! Eating out as a family is always a great way to break out of an everyday routine and spend some meaningful time together, although the bill at the end of the meal can be discouraging. Rather than putting off your next family outing, make it a weekly event by taking advantage of regular promotions, such as the widely available ‘Kids Eat Free’ offer. 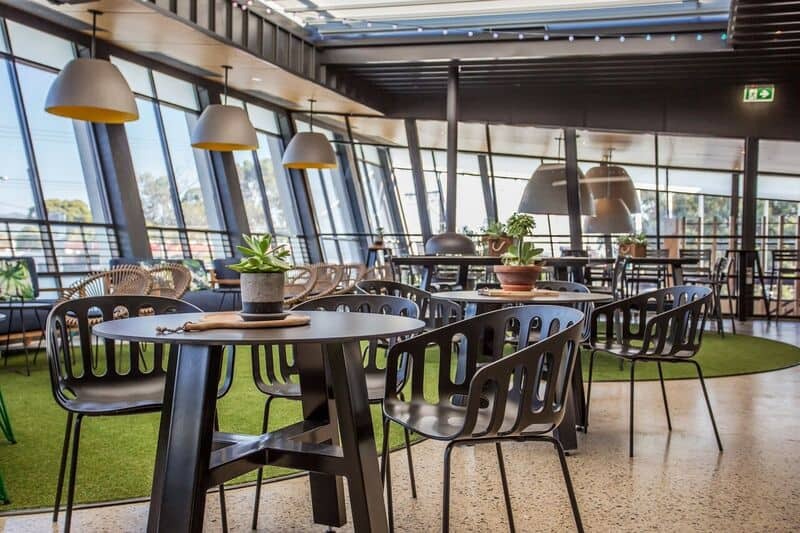 With restaurants and cafes all over Adelaide offering this promotion on a regular basis, parents are able to feed their children without even reaching for their wallet – what could be better? Make the family-restaurant experience a regular part of your week by heading out to a restaurant that offers this promotion. Not sure where to start looking? Don’t sweat it. We’ve listed some locations below that offer the ‘Kids Eat Free’ promotion on different nights of the week. 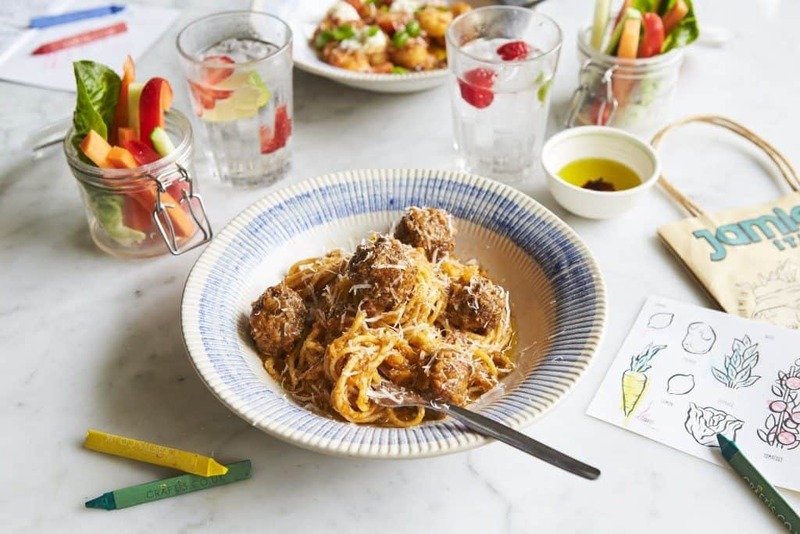 To celebrate the school holidays, Kids Eat Well for Free will return to Jamie’s Italian in Brisbane (and Sydney, Adelaide and Perth) until 31 January. Parents, get excited – this means you get to enjoy some delicious pasta too! Kids eat free every Monday and Sunday at the Aberfoyle Hub Tavern. Children can choose between popular dishes such as chicken dippers, chicken schnitzel, fish and chips, calamari, ham and pineapple pizza, or pasta Napoletana. All kid’s meals also come with sides and a drink. Head down to the Highlander from 5:30 pm on Mondays and Tuesdays for their ‘Kids Eat Free’ promotion. Purchase one adult main meal to receive one free kid’s meal. Children can choose between fish and chips, pasta with meatballs, popcorn chicken, cheeseburgers, or chicken schnitzel. All kid’s meals also come with a drink and dessert. Conditions apply – this promotion cannot be redeemed alongside any other offer and it only applies to kids under the age of 12 years. Purchase one adult main meal and redeem one free kid’s meal every Monday at the Willaston Hotel. Children can choose between popular items such as beef or chicken schnitzel, fish and chips, chicken nuggets, Hawaiian pizza, cheeseburgers, calamari, or spaghetti bolognese. All meals also come with a drink. On any other day, kid’s meals are only $9 each. Kids eat free every Monday and Tuesday night at the Victoria hotel. When purchasing an adult main meal, redeem one kid’s meal free of charge. Children can choose between chicken schnitzel, battered fish, popcorn chicken, hot dogs, roast of the day, or ham and pineapple pizza. All kid’s meals also come with a drink. On any other day, kid’s meals are only $9 each. The Hog’s Breath Cafe offers free kid’s meals every Monday and Tuesday when a full priced adult meal is purchased (valued over $20). Kids can choose between chicken nuggets, cheeseburgers, cheese, pineapple and bacon melts, fish and chips, pasta, steak, or chicken. All meals also come with a complimentary drink and scoop of ice cream. Conditions apply – this offer is only available at participating restaurants and only applies to kids under the age of 12 years. Address: Various venues. Check with your local restaurant to determine availability. Head over to the Settler’s Tavern every Monday for their ‘Kids Eat Free’ promotion. Purchase one adult main meal to redeem the offer. 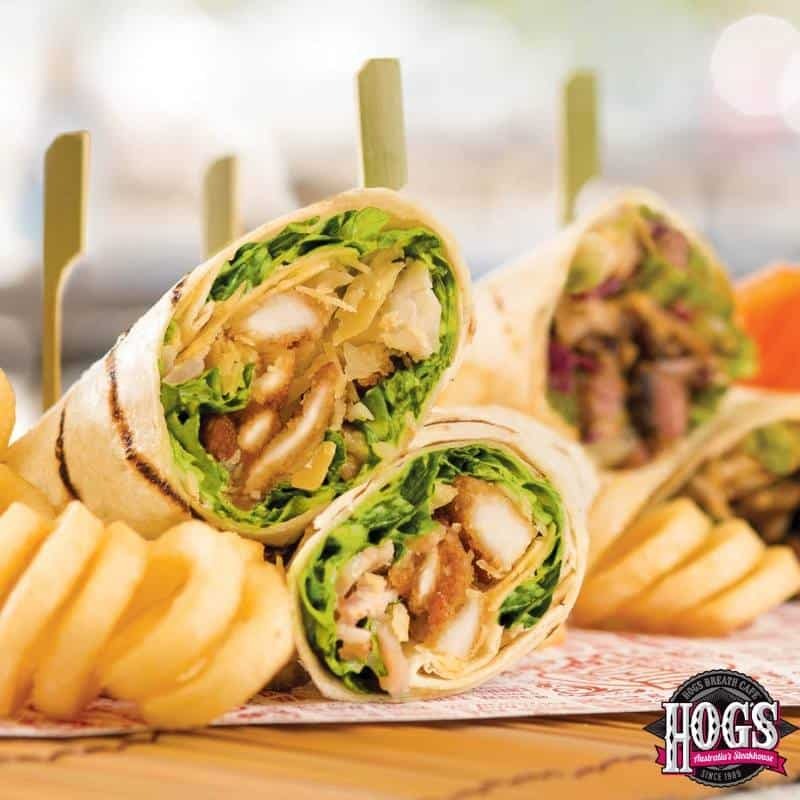 Children can choose between chicken nuggets, fish and chips, chicken schnitzel, kid’s roast, or chicken wraps. The meals also come with entertainment packs, drinks, and dessert. Kids can also enjoy the venue’s entertaining indoor playground while parents can sit back and enjoy dinner. The Victoria Hotel offers free kid’s meals every Monday and Tuesday night when a main meal is purchased. Children can choose between chicken schnitzel, battered fish, popcorn chicken, hot dogs, roast of the day, or ham and pineapple pizza. All kid’s meals also come with a drink. The Hog’s Breath’s ‘Kids Eat Free’ promotion is on offer every Monday and Tuesday. The deal involves purchasing an adult main meal (valued over $20) and in return, you’ll receive a free kid’s meal. Kids have the option of chicken nuggets, cheeseburgers, cheese, pineapple and bacon melts, fish and chips, pasta, steak, or chicken. All meals also come with a complimentary drink and scoop of ice cream. This offer is only for kids under 12 years of age and is available at selected restaurants. Purchase an adult main meal from the Belair Hotel every Tuesday after 5:30 pm to receive a complimentary kid’s meal. Children can choose from chicken nuggets, penne pasta, fish and chips, salt and pepper squid, chicken schnitzel, nachos, chicken strips, or a cheeseburger. The offer only applies to kids 12 years and under. On every other day, kid’s meals are $10 each. Kids eat free every Tuesday night from 5 pm to 7 pm at the Earl Of Leicester Hotel. A free kid’s meal can be redeemed once a full price adult main meal has been ordered. Children can choose between popular items such as shepherds pie, bangers and mash, ham and cheese pizza, chicken schnitzel, beef burgers, or fish fingers. Parents also have the option to purchase a $2 children’s activity pack to keep the kids entertained. This promotion is only available to kids 12 years and under. Head over to Kwik Stix on Tuesdays to feed the kids free of charge. Children can choose between popular dishes such as honey chicken, chicken and sweet corn soup, spring rolls, fish fillets, chicken breast fillets, or calamari rings. On any other day, kid’s meals are typically between $5 and $8.50 each. Make your way down to the Highbury Hotel on either Wednesday or Sunday for their ‘Kids Eat Free’ offer. Redeem this promotion by purchasing a full priced adult meal. Children can choose between items such as chicken nuggets, fish and chips, cheeseburgers, spaghetti bolognese, or ham and pineapple pizza. For an additional $2, receive a soft drink or ice cream to go with the meal. Kids eat free every day at the Woodville Hotel from 5:30 pm to 6:30 pm. Purchase a main adult meal to receive a complimentary kid’s meal. Children can choose between classics such as grilled chicken skewers, penne Napoletana, chicken schnitzel, hot dogs, or chicken nuggets. All meals also come with a drink and dessert, along with a colouring sheet. On any other day, meals are $11.90 each. This promotion is not available with any other offer. When an adult main meal is purchased at the Eureka Tavern on Thursdays and Saturdays, kids receive a free meal. Children have the option of chicken nuggets, warm chicken salad, cheeseburgers, chicken schnitzel, beef schnitzel, spaghetti bolognese, crumbed calamari, or Hawaiian pizza. On any other day, kid’s meals are only $9 each. It’s hard enough finding a venue that offers free meals on Friday nights and weekends, although Jimmy Deane’s is the exception. Head over to the bistro on Fridays or Saturdays to pick up a free kid’s meal. Children can choose between chicken nuggets, pasta Napoletana, cheeseburgers, battered fish and chips, or mac and cheese bites. All meals also come with a free drink and ice cream. On other days, meals are typically $10 each. 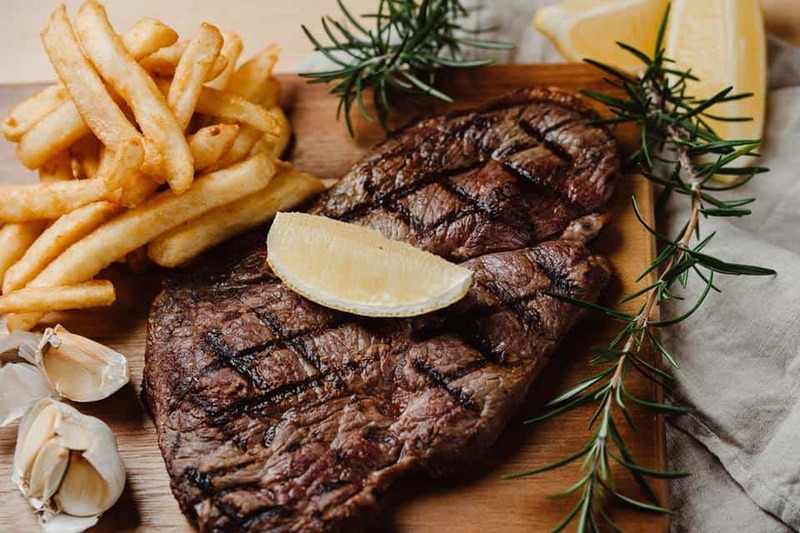 It doesn’t matter whether it’s the middle of the week or the weekend at the Playford Tavern – kids eat free seven nights a week. Children can choose between chicken nuggets, roast, chicken schnitzel, fish and chips, spaghetti bolognese, cheeseburgers, calamari, or ham and pineapple pizza. All meals also come with chips, salad, and vegetables. Dinner is covered every Saturday, Sunday, Monday, and Tuesday night at the Findon Hotel. Purchase one adult main mal to trigger the promotion. Kids can choose between chicken wraps, penne pasta, cheeseburgers, fish pieces, chicken nuggets or macaroni and cheese. For an additional $2, kids will receive dessert as well. Conditions apply – this offer isn’t available alongside any other discounts. Head over to the Bridgeport Hotel every Sunday to redeem a complimentary kid’s meal. Children can choose between fish and chips, chicken nuggets, chicken schnitzel, calamari and chips, pizza, or pasta. These kid’s meals also come with dessert. This promotion only applies to kids under 12 years of age. Kids eat free 7 nights a week over at the Enfield Hotel. Children can choose between chicken nuggets, mini chicken schnitzel, beef schnitzel, chicken tenders, spaghetti bolognese, ham and pineapple pizza, or cheeseburgers. Every other day, kid’s meals are $9 each. Kids 12 years and under eat lunch and dinner for free at the Arkaba Hotel. Head over on Sunday and purchase a full price adult’s main meal to receive the complimentary kid’s meal. Children can choose between battered fish and chips, grilled fish, salt and pepper squid, cheeseburgers, roast, Hawaiian pizza, chicken nuggets, chicken schnitzel, or chicken salad. Every other day, kid’s meals prove to be good value, only costing $8 each. Kids eat free every Sunday at the Halfway Hotel. Children can choose between classic dishes such as chicken nuggets, chicken schnitzel, fish and chips, spaghetti bolognese, or cheeseburgers. All kid’s meals also come with chips, tomato sauce, and a drink. On any other day, kid’s meals at the Halfway Hotel are $9 each. Make your way over to the Angle Vale Hotel on either Sunday, Monday, or Tuesday for their ‘Kids Eat Free’ promotion. Children can enjoy dishes such as chicken nuggets, schnitzel, fish and chips, chicken tenders, steak and chips, or pizza and chips. All meals also come with a drink and dessert. On other days, meals are $9.90 each. Purchase an adult main meal at the Aberfoyle Hotel to redeem a complimentary kid’s meal every Sunday and Monday. Kids can choose between popular options such as chicken dippers, chicken schnitzel, fish and chips, calamari, ham and pineapple pizza, or pasta Napoletana. All kid’s meals also come with sides and a drink.